Download the attached .syx file. Hold down the 'Shift', '+' and '-' buttons of the Impulse then connect the USB cable. This will access the Boot menu. 'Exit' should be displayed on the Impulse's LCD. Open SysEx Librarian and drag the .syx file into the SysEx Librarian window. Click on the 'Destination' menu and select 'Impulse'. 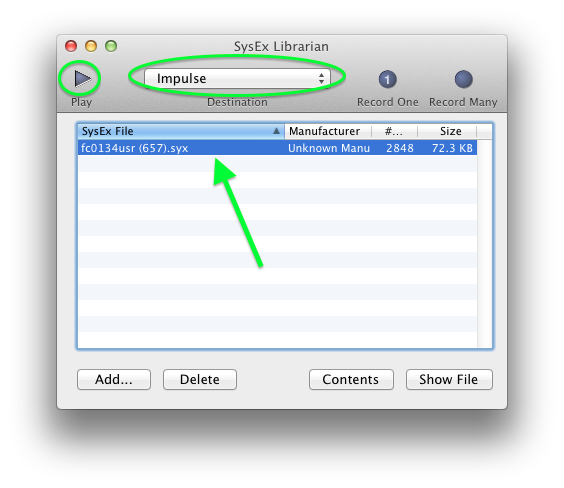 Ensure that the .sys file is highlighted in blue by clicking on it. Click on the 'Play' button. The Impulse's LCD should display the word 'Update'. Wait for the update to complete. Open MIDI-OX, click on the the 'Options' menu and select 'MIDI Devices'. 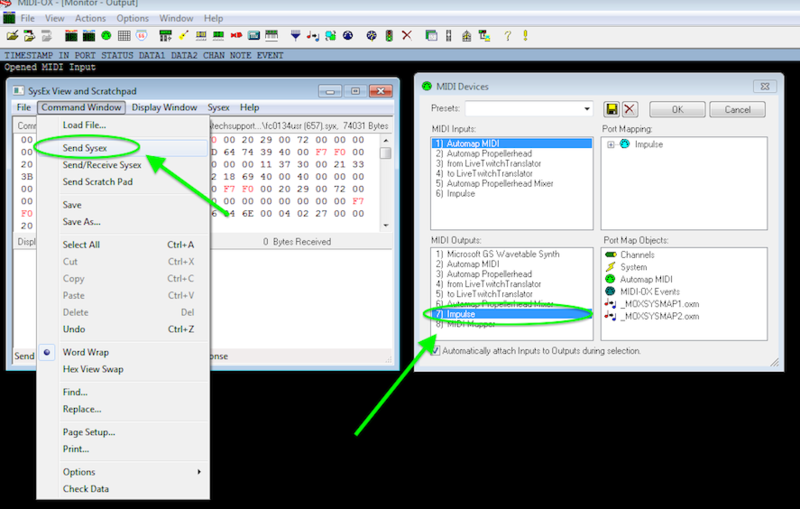 Ensure that 'Impulse' is highlighted in the 'MIDI Output' section then click 'OK'. Please note that If you are using the latest version of Automap on your computer then you may be prompted to update the Impulse again as the firmware attached to this article is a slightly older version.